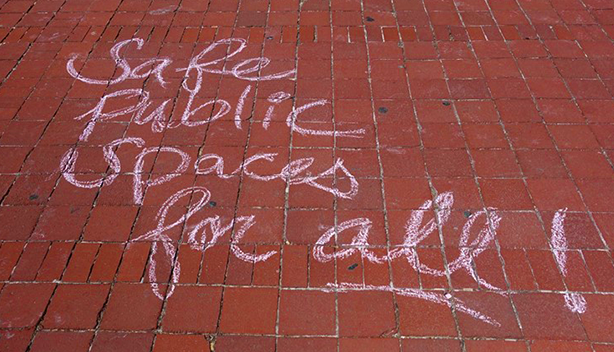 What is the definition of Street Harassment? Street harassment is any disrespectful, offensive or threatening statements, gestures or other conduct directed at an individual in a high-risk area without the individual’s consent and based on the individual’s actual or perceived protected trait identified in the DC Human Rights Act of 1977. What is a high-risk area? All buildings or land owned, leased or occupied by District government. 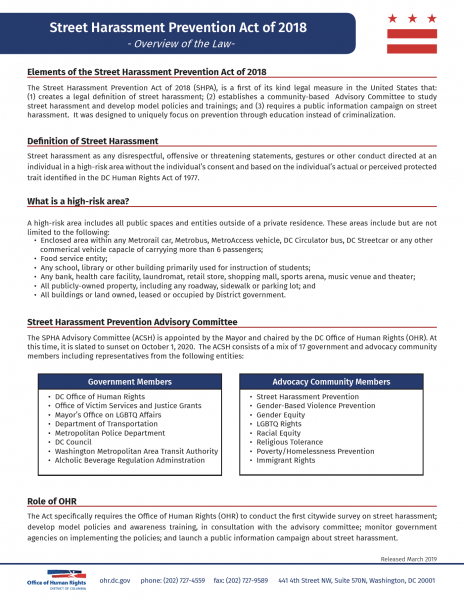 For an overview of the law, download the Street Harassment Prevention Act of 2018 overview (PDF).